What medications and medical conditions can affect your performance in field sobriety tests? You took the trip up to Washington to take in a Nationals game. A few of your friends from work joined you, and you had an excellent time. Before the game started, you had a few sodas, but once the first pitch was thrown, you switched to water. After all, it was hot and you were sitting in the sun. On your way home, an officer pulled you over on I-95, saying that you were speeding. After the interrogation, you were asked to step out of the vehicle and participate in a few field sobriety tests. The officer said based on your appearance and behavior, he suspected that you were intoxicated. Swaying and imbalance. Walking in a straight line, standing in place with your eyes closed and head back, and following a pen with your eyes may be impossible when you have inner ear conditions, prior head trauma, or epilepsy. Conditions such as these can negatively affect your test results. Nystagmus. The horizontal-gaze nystagmus test measures your ability to control your eye muscles. However, medication or conditions such as caffeine, aspirin, eye strain, and head injuries may cause your eyes to move around uncontrollably, causing the officer to believe you are intoxicated. Flushed and drunken appearance. You sat in the sun all day, which left your face flushed and your eyes red. You also suffer from rosacea, which gives you a rosy appearance. The officer believes that these factors are caused by alcohol instead of what they actually are. Contact the legal professionals of the Easley Law Firm today to devise a defense against your DUI charge—we may be able to help. What Do BAC Measurements Really Mean? What are the penalties for violating my probation? As part of your probation, you are supposed to find a good job and keep it. You were successful and have enjoyed your job for the past six months. Lately, a series of unfortunate events have prevented you from making it to work. First it was because your car broke down on I-495 and you couldn’t find alternate transportation. Then, it was when your daughter was so sick you had to take her to Inova’s Children Hospital. And after a few other missed days, your boss said he had to let you go. A warning. All violation probations don’t send you straight to jail. Your probation officer may only give you a warning for going against the terms of your probation, particularly if he feels the termination was unwarranted. Additional probation. The judge may decide that you should have additional time added onto your probation for the violation. Fines. A consequence of the violation is often additional fines on top of what you may already owe either in fines or court costs. Jail time. The judge may feel like you need to spend a few days in jail for your violation. Once you are out, he may have you finish out the rest of your probation. He could also revoke or cancel your probation and send you to jail for the maximum amount of time allowed by law. If have been accused of violating your probation, contact the Easley Law Firm today. We may be able to prove your innocence or help you receive a more desirable outcome than you would otherwise. What are some possible defenses for fleeing the scene of an accident? You were involved in a serious accident on I-95 one rainy night. You accidentally lost control of your car and hydroplaned into another vehicle—causing you to lose consciousness. The last thing that you remember is hearing the sound of the airbags deploying. The next morning you woke up at the Fairfax Health Center and you were having a difficult time recalling the accident. Your doctor told you that you were involved in an accident, and that was the end of the conversation—until you were notified by the police that you were being accused of fleeing the scene of the accident. Drivers who are found guilty of fleeing the scene of an accident face a variety of different charges, including costly fines and jail time. If you attempt to fight these charges alone, you could end up with serious penalties. Whether you fled the scene because you were injured, made a mistake, or were simply scared, the attorneys of the Easley Law Firm may be able to help. Our attorneys have assisted many drivers in the Fairfax area with their cases, and we may be able to do the same for you. Contact us today to learn more. It was a little after midnight when you received the call—your teenage daughter was at the police station for driving under the influence of alcohol. Since your daughter is too young to drink, she is now facing criminal charges for getting behind the wheel while intoxicated. You certainly don’t condone teenage drinking, and don’t understand how she was even able to obtain the alcohol. You’ve heard about other parents getting in trouble with the law from their underage children drinking and driving, and you wonder if you will too. For example, if you allow your children to host a party in your home and know underage drinking is occurring, you may face criminal and civil charges if one of the party-goers causes a serious accident because she was driving under the influence. For instance, if you allow your child to host a party, but don’t have alcohol in the home, did not see anyone drink alcohol, or did not see any alcohol at the party, you likely won’t face charges if an accident or something similar occurs after the get-together. The Easley Law Firm wants to help you with your difficult situation. Contact us today to speak to an attorney and find out what we can do. What Do BAC Measurements Mean? You were headed down I-295 on your way home from a friend’s house when a police officer pulled you over. After participating in a field sobriety test and breathing into a breath analysis machine, the officer arrested you for driving while intoxicated (DUI). Your trial date is quickly approaching and you haven’t been in contact with an attorney or a public defender. You can’t afford the expense of a lawyer and you think you’re capable of defending yourself, so you plan on giving it a try. Your age. If the judge believes you are too young to take on such a responsibility, or too far up in age to stand trial, he likely won’t allow you to represent yourself. Your familiarity with English. If English isn’t your primary language, the judge will want to know how fluent you are. If you aren’t able to understand what is going on because of a language barrier, the judge will likely ask that you hire a lawyer. Your level of education. The judge wants to get an idea of how well educated you are and will determine that by how much schooling you’ve received. The seriousness of the crime. Self-representation is typically permitted in less serious cases. If you’re facing something bigger, however, you’ll likely have to hire representation. We can give you the representation you want. With us, you can take the lead, and we will attempt to get you the outcome you desire. Contact us today to learn how. Getting pulled over on Interstate 495 or Interstate 95 can rattle even the most experienced driver, particularly if the officer believes you are intoxicated. If you’re swerving, speeding, going through stop signs or traffic lights, or otherwise driving in a manner that causes the police to believe you’ve been drinking before getting behind the wheel, it’s likely the cop will ask you to participate in field sobriety tests, or have your blood alcohol concentration levels tested. The testing equipment has flaws. Many forensic labs check for alcohol in the blood by using a machine known as a gas chromatograph. The problem is that the equipment assumes alcohol is in the blood, rather than confirming whether or not any is present, which can cause false alcohol measurements. Additionally, this method is unable to determine if alcohol was present in the blood when it was in the motorist’s vein, or if the supposed presence of alcohol occurred during a storage error or delay before analysis. Law enforcement forensic labs aren’t always compliant. The types of labs used in BAC testing often fail to report the range of uncertainty associated with their methods. As a result, such labs often report an arbitrary and scientifically invalid blood alcohol concentration level. Can You Prove Your Test Results Are Inaccurate on Your Own? There’s a chance your BAC results were inaccurate, but do you know how to prove that in a court of law? Do you have experience speaking with a judge and jury? Do you feel comfortable that you have evidence to prove you are right and the lab results are wrong? The legal professionals of the Easley Law Firm have helped many motorists in the Fairfax area with their DUI cases, and may be able to do the same for you. Contact us today to find out if we can help you. What Should You Do When Asked to Take a Blood Test? Should Take a Field Sobriety Test? If you’re driving on the George Washington Memorial Parkway, Dulles Toll Road, or the Capital Beltway, there’s a chance an officer will pull you over if he believes you are driving while intoxicated. After he interviews you and asks you to perform in a number of field sobriety tests, he will likely ask that you participate in a test that measures your blood alcohol concentration (BAC). These tests help determine your level of intoxication. 0.02 g/dl. Those who have BACs of 0.02 g/dl typically experience some loss of judgment and altered moods. They are unable to perform more than one task at a time, and have a decline in visual functions. 0.05 g/dl. A BAC of 0.05 g/dl can affect a driver’s ability to steer, and can cause a reduced ability to track moving objects, reduced coordination, and a reduced response to emergency driving situations. The person will likely also exhibit exaggerated behavior, reduced inhibitions, lowered alertness, and difficulty controlling small-muscle movements. 0.08 g/dl. If your BAC is 0.08 g/dl, your muscle coordination becomes poor; your judgment, reasoning, memory, and self-control are impaired—and detecting danger becomes difficult. This BAC affects driving, as your speed control and concentration also decline. Drivers typically experience short-term memory loss, impaired perception, and have a reduced information processing capability. 0.10 g/dl. Those with BACs of 0.10 g/dl have slurred speech, slowed thinking, and poor coordination, and exhibit a clear deterioration of reaction time and control. They may also have a reduced ability to stay in the correct lanes and brake appropriately while driving. All hope is not lost if you have received a DWI. The attorneys of the Easley Law Firm may be able to help. Contact us today to find out what we are able to do for you. Should You Take a Blood or Breath Test? What should I do if I’m pulled over while driving with a suspended license? You were driving down Braddock Road, on your way home from catching a game at the Patriot Center, when an officer pulled you over for speeding. You didn’t know you were driving over the speed limit, but you were aware that you shouldn’t have been driving at all—because your license is suspended. Short of fleeing the scene—which is not recommended—there’s not much you can do to get out of the situation. Unfortunately, driving on a suspended license could land you in jail, result in a large fine, and add more time to your suspension. Never admit fault. Avoid saying you know that your license is suspended. If you weren’t aware that your license was suspended, tell that to the officer. If you did, however, you have the right to remain silent. Admitting that you were aware of what you were doing is stating you are guilty of committing a crime. Exercise courtesy. You’ve likely heard of the saying about attracting more flies with sugar than vinegar, and you should keep this in mind when talking to the officer. Acting respectfully rather than rudely or aggressively could prevent you from getting into additional trouble or even spending the night in jail. Perhaps the most important action you can take if you are accused of driving on a suspended license is to contact an attorney. Having a lawyer on your side when you are in trouble with the law is smart and may help you receive the outcome you desire. The Easley Law Firm has much experience helping those in the Fairfax area get back on the road and on with their lives. Contact us today to find out how we may be able to help you. Washington Nationals player Jayson Werth was recently found guilty of reckless driving and was sentenced to 10 days in jail. The famed outfielder is accused of driving his Porsche over 100 mph on the Capital Beltway in Fairfax earlier this year. Werth claimed he may have been driving 90 mph, but didn’t believe he went any higher. His attorney doubted the pacing skills of the police officer who pulled him over, and tried to have the case thrown out. Unfortunately for Werth, that didn’t happen. Just like Werth, other motorists who are found driving recklessly can expect to feel the wrath of the legal system. Here, we go over exactly what drivers face. Jail time, fines, and suspensions. The most severe punishment Virginia drivers can expect to receive for reckless driving is a year in jail and a fine of $2,500. They may also have their licenses suspended for six months, and could be prohibited from driving in Virginia for six months if they are licensed in other states. Points. Motorists will also receive a maximum of six points to their licenses if found guilty of reckless driving. Such a hefty amount of points can increase your insurance premium or even cause your insurance company to drop your coverage. The legal team behind the Easley Law Firm knows just how important your driving privileges are to you, and will do all it can to try to help you keep them. If you have a good driving record or were speeding because of a legitimate emergency, we may be able to have the case dropped or have your fines reduced. Additionally, we may be able to prove the presence of radar calibration issues or that the speedometer was read incorrectly. Contact us today to speak with an attorney about your situation and find out how we may be able to help. Should You Pay or Fight Your Speeding Ticket? 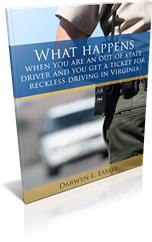 Why would a motorist have his license suspended or revoked in Virginia? You are driving along Lee Highway when your passenger says, “There’s a cop! Slow down!”—you hit the brakes as quickly, and as unobvious, as you can. Your actions don’t work, however, as you soon notice the flashing lights of a patrol car in your rearview mirror. You pull over on to the shoulder and sit while the officer runs your license through the system and writes you a ticket. You are told you were going 15 mph over the speed limit, and since this isn’t your first time receiving such a citation, you’re a bit worried. 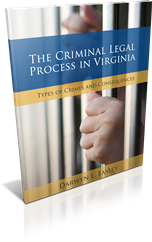 The State of Virginia may suspend or revoke your license if you meet one or more of the qualifying criteria. When your license is suspended, you lose your driving privileges temporarily. When it is revoked, the state terminates your ability to drive until you are granted permission to do so again. Failure to complete a driver improvement clinic. Failure to satisfy an outstanding judgment following a motor vehicle accident. A court-ordered reckless driving conviction. Accumulating a large amount of demerit points on your license. Felony violations in which a motor vehicle was used. Failure to stop and disclose your identity at the scene of a crash. Three point convictions for violations committed while under the age of 18. If you are facing a license suspension or revocation, you’ll need the help of an experienced attorney on your side. If you attempt to fight your charges alone, you will have an increased chance of losing your driving privileges. The legal professionals of the Easley Law Firm may be able to help you with your situation. Contact us today to learn how we have helped others in the Fairfax area, and how we may be able to assist you, as well.